Create your business plan in minutes instead of hours. Easily enter a plan for multiple locations, offices, or profit centers. 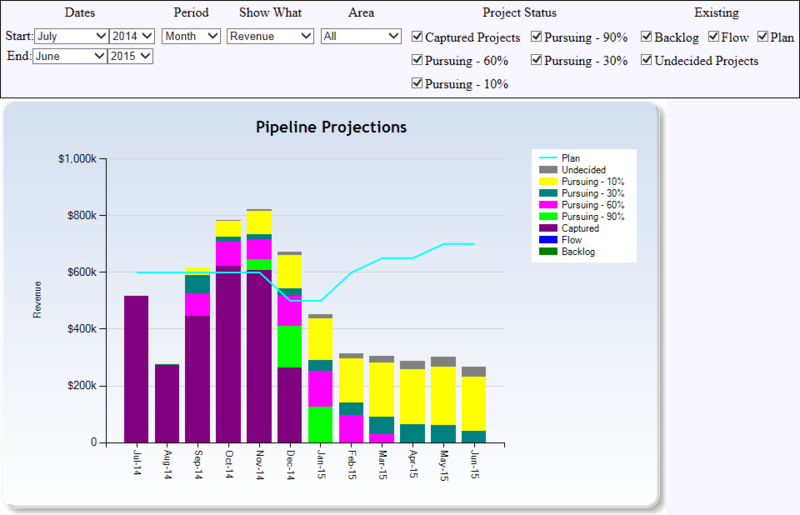 Project opportunities entered into bidHD will automatically show on future outlook - instantly see how your company is doing compared to plan. 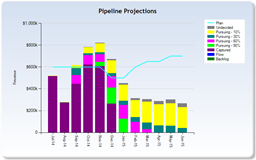 Revenue, Gross Margin, and Man Power projections - view by location/office/profit center or by entire company. Great to show investors for additional credit or to increase your bonding capacity.